If you do not know where you come from, then you don't know where you are, and if you don't know where you are, then you don't know where you're going. And if you don't know where you're going, you're probably going wrong. Sometimes it’s easy to feel like life is passing you by. One day you wake up and realize that most of your peers are now getting on with the plans you made together. And here you are, still drunk in love with your single status. On my way to "getting there", I've learned how to make the journey light. Know exactly what you want. Living without goals is like driving without direction. You keep on going around in circles. You don’t get anywhere simply because you don’t know where you’re headed. If you know exactly what you want, you change strategies or reschedule a goal and you know it's okay because you haven't forgotten where you need to go. Be friends with people from all walks of life. Younger friends are fun to be with because their excitement and curiosity in life is contagious. 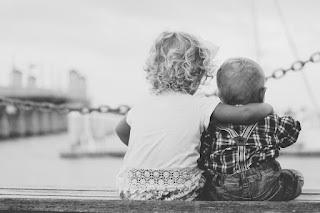 Friends who are about your age have the same sentiments as you have. You can share notes about your past experiences, your present struggles and future plans. They are your reality check. Senior friends could be amazing life mentors. They will guide you and help you avoid making the same mistakes that they did. Take care of your health and secure your future. Enjoy the present, but don’t forget to save some for tomorrow. You don’t want to be begging for money when you’re too old or maybe sick to work. Visit a new place. Traveling changes your perspective. Try helping someone who is not capable of giving you back. You will discover that important things are not found in the title or in the worldly success you achieve. Learn from those who does not have what you have. They will teach you simplicity. You can never enjoy the present if you keep on looking back at the past. As you age, you realize that some dreams are worth pursuing and others are not really meant for you. Sometimes you get to your dreams fast, sometimes you have stop overs. Sometimes on your way to your dreams, you realize life is more than just about pursuing a career and living according to what the society dictates. Sometimes you get lost and find a better dream, and sometimes you find...a better you. I'm getting to my next chapter. Just taking it slow, enjoying each step, but getting there. How about you? 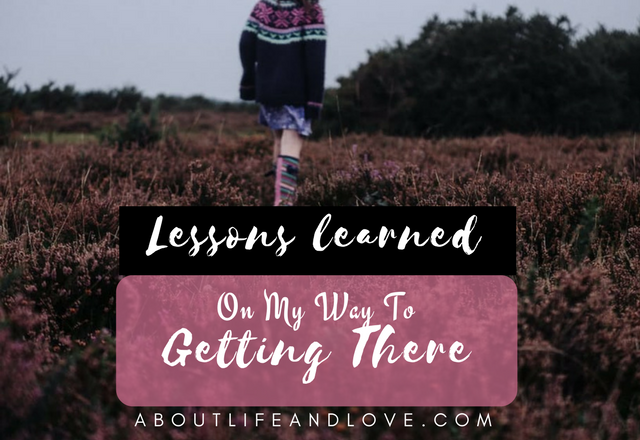 Where are you going and what lessons have you learned on your way to getting there? Being friends with lots of different people from all walks of life is so important. You can't have too many friends in my book! Yes, it's very useful to know what you want, so if you are able to find out! I spent a lot of time when I was younger worrying that I wasn't where I wanted to be in life...but eventually you get there and you regret not enjoying your youth more! All great advice. Do for you and everything else will fall into place. Seems like that's what you are doing. Excellent. I'm doing very well. I finally learned what is and what isn't important. I do the important and ignore the unimportant. I like what you said about choosing friends of all ages because each age has something to offer. Visiting other places is good too. Thank you for your sweet comments at my site. Great Post Lux as always! I simply love reading each of them in your blog. The pointers are worthy enough to ponder. True! When we know where we want to go, we can be conscious of how to go and get there! I take one day at a time great post. Hi Lux! "Let go" Those are scary words, but they really are powerful too. As I enter this new year, I know I have to work on getting priorities in line. It's a new beginning, and understanding what my goals are will help me work toward them more effectively. I like so well that you are enjoying your journey, and not worrying about the speed. That's a great attitude, and one that helps your mental health! I will keep that in mind as I figure out my goals. and the best way to achieve them. You should never look at your friends' lives to see if yours is fulfilled. Perhaps for them they are doing what is right and they are happy. That does not mean that is the way for you. I believe you have a good way to keep yourself on the right path. Hi, SuperLux! This latest set ot guidelines is another winner. It does you no good to wish and hope for "happiness." You need to have very specific goals and specific plans of action that enable you to reach them. #2 is extremely important. Many young people, bloggers included, seek only the comfort and familiarity of people their own age who have the same interests. They reject the notion of making friends, seeking helpful advice or learning new things from people of older generations. In my 6.5 years of blogging, I have encountered not only age discrimination but gender discrimination. I agree with #3, too Take care of your body now and it will take care of you when you are my age. Save money now and when you are my age you will thank yourself. Great stuff again, dear friend SuperLux. Enjoy the rest of your week! I'm single, too, and so many of my friends who are married say they wish they did what I did, which was find myself first. I was always depressed when I compared my marriage-less, child-less life to theirs, but now I'm happy because so many of them have regrets. I don't want regrets when it's my turn to marry and have kids. Great words and post, as usual!!! SuperLux, good for you for taking these steps and enjoying the journey in your life. Many times, uncontrollable events happen to divert your path, but you can get back on track. I've pursued many dreams and have had a truly wonderful life. And I'm still willing to try new things for even just one more adventure. You are wise beyond your years. This is very interesting to read, thank you. I'm middle-aged. I have accomplished some of the things I set out to do and others I have not but it's all good. As long as God is in control, I will be okay. Wonderful post! Thank you for sharing it at the Single Life link party. Yes, time is precious, don't let it go to waste - live life...and live it to the fullest. Many let it go by without their noticing it. I absolutely love the way you see life! You are indeed very wise beyond your years, great words of wisdom, thank you so much for sharing. nice photos and wise advices! "Sometimes you get lost and find a better dream, and sometimes you find...a better you." - Isn't that the crazy truth! Thank you so much for the awesome post! Adorei as lições! Preciso começar a seguir algumas delas! kind of hurts! but i am working hard! Try something new is a great one probably my favorite thing, and I'm really trying to do this with my children also! take your own advice.....everything happens just the way i is suppose to!!!! My favorite tip you mention from this post is the 2nd one. I agree that it's important to have friends from all aspects of life. It's nice to get all of their different perspectives and attitudes/spirits! Some wise advice. Being friends with all ages will provide us with rich experiences. Thank you for this today! T'was really lovely ....thanks fO sharing dear...!! Oh my gosh I needed to read this - the last few weeks have felt just like that for me. But the problem is that I don't know exactly what I want! At one end I want the white picket fence and husband with babies and pets... and the other I just want no obligations or limitations.. nothing holding me back. I want to go off and travel and adventure for years, never knowing what tomorrows going to bring. Beautiful post!!! I needed this! Great advice for a more fulfilling life! I especially liked your tips about having friends of all ages, and taking care of yourself when you're young! Thanks SuperLux! Very endearing post! I like lesson # 2. Sadly, I have connected more closely with seniors, and left the other two behind. On my my way to rebuilding myself, I'm trying to reconnect with people I have missed during those times when I was looking at nothing but myself. Your post are always very encouraging and i love to read them. Let go...number 5 I'm totally agreement with. As always your post is truly inspiring with life lesson and teaching. Really good post. You always leave me thinking. Your post are always well thought of and put together. Enjoying the present and not thinking of the past is the best way to go! I was going through some of your blog posts and I'm loving the positive vibes going on! Awesome thoughts. I especially like that last one. Life is a journey, not a destination, and it's easy to forget that while wrapped up in the day to day challenges. I think having kids has taught me that more than anything. Nice post. I love learning from others. Great post and so true, I have friends of all age, younger older...and true about what you do now effecting your future. I have a friend who just had a stroke at 42 VERY young and kind of shocking, but for years decades really he drank a lot and did not eat well and smoked...even though he adopted healthy habits the last 2 years it still happened. Though the drs said if hadn't done this he would be dead. So yes what you do matters. #2 is so true. Everyone you meet knows something you don't, give them a chance to teach you what they know. life is an interesting journey but some times there are lots of junction and crossroad along the way and we might take a wrong turn but don't forget to make a u turn as the journey haven't end yet. These lessons are so good that they can make our life more organized and can make us more happy. I absolutely agree about the friends, in general with everything! Thank you! You have learned great lessons. Thanks for sharing them with us! I love the one about the future. Very true. When I read your post, I thought of the saying ]A PERSON WITHOUT A GOAL IS LIKE A SHIP WITHOUT A RUDDER. These are great lessons! Thanks for sharing! this is such an inspiring post. i need posts like these, to remind me of my goals or to motivate me. thank you so much for sharing, you're very wise! You have said it all and I so agree. Sound post. I agree totally. Such good advice. I especially loved the part about taking care of your health when you're young so you have the energy to do what dod is calling you to do when you are old. I wish I'd done a better job. And, the part about having friends in all stages of life - awesome! Thank you for your visit and sweet comment on my blog! As a Christian, I think we are called to show God's love to everyone and I do my best to do that. Jesus made friends with everyone he came in contact with and he expects us to always be kind as well. I have friends of all ages and think that's important. Great post! Having plans is important, but I learned that you should also let yourself be surprised by life as some of the best things that happen are not planned for. Have a great weekend. Those are some great tips! I wish I knew some of these earlier! Great post! A lot of people my age are in their careers and starting families, but my boyfriend and I recently decided to go back to school to pursue our dream careers. It's somewhat of a new beginning. We might not be in the same spot as everyone else, but we're happy where we are. Continuing to try new things is so important! Super Girl ... I could embrace each one of these steps ... and SHOULD! Love the insight you offer in this lovely space. I totally agree with all of these! I often find myself where I think "what can I do to inspire/enjoy this?" Many of these lessons are what I've came up with. It has led me to many unique and wonderful experiences and friends I wouldn't have otherwise. I wouldn't change a thing! Being the senior in the group -- I love where my life is right now and I never thought it would get to here! You are right about needing a plan or a direction. If you aren't headed somewhere you are headed nowhere. Great post Lux!